CD3 is a multimeric protein complex, which is composed of four distinct chains (CD3g, CD3d and two CD3e). CD3 complex serves as a T-cell co-receptor that associates non-covalently with the T cell receptor (TCR) . CD3 is expressed in almost all T cell lineages, which make it useful marker for T cells. T cells exhibit multiple functions including cell-mediated cytotoxicity, promotion of antibody production by B cells, and immune regulation. 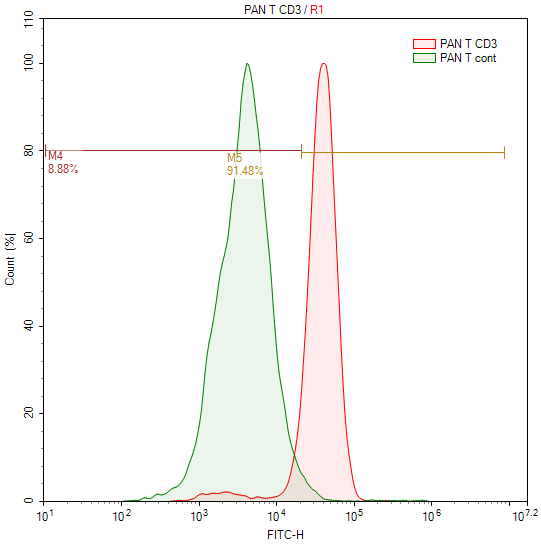 CD3+ Pan T cells can be divided into several subsets. CD4+ helper T cell, CD8+ cytotoxic T cell and NK cells are the three major subsets. T cells have been widely used in research fields including immunology, infectious diseases, cancer therapy  etc. iXCells Biotechnologies offers CD3+ Pan T Cells isolated from human peripheral blood mononuclear cells (PBMCs) using negative immunomagnetic selection. These cells are untouched by the separation process and ready for downstream usage. > 86% of the cells are CD3+ as showed by flow cytometric analysis. Figure 1. Flow cytometric analysis showed that >86% of the cells are CD3+. Smith-Garvin JE, Koretzky GA and Jordan MS. T cell activation. Annual Review of Immunology 2009:27: 591-619. Vigneron N. Human Tumor Antigens and Cancer Immunotherapy. Biomed Res Int. 2015. 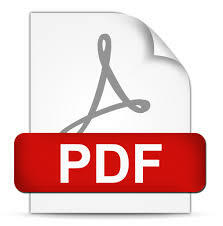 Leong, Anthony S-Y; Cooper, Kumarason; Leong, F Joel W-M. Manual of Diagnostic Cytology (2 ed.). Greenwich Medical Media, Ltd. pp. 63–64 (2003).